The single biggest misconception about games is that they’re an escapist waste of time. But more than a decade’s worth of scientific research shows that gaming is actually one of the most productive ways we can spend time. No, playing games doesn’t help the GDP – our traditional measure of productivity. But games help us produce something more important than economic bottom line: powerful emotions and social relationships that can change our lives–and potentially help us change the world. Currently there are more than half a billion people worldwide playing online games at least an hour a day — and 183 million in the US alone. The younger you are, the more likely you are to be a gamer — 97% of boys under 18 and 94% of girls under 18 report playing videogames regularly. 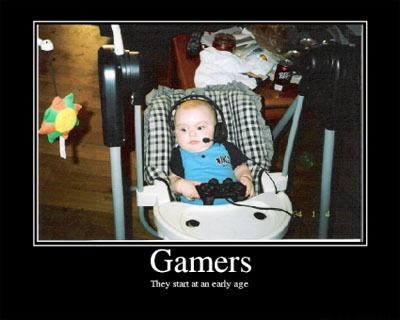 And the average young person racks up 10,000 hours of gaming by the age of 21. That’s almost exactly as much time as they spend in a classroom during all of middle school and high school if they have perfect attendance. Most astonishingly, 5 million gamers in the U.S are spending more than 40 hours a week playing games — the same as a full time job! Why are we increasingly turning to games? According to my research, it’s because games do a better job than ordinary life of provoking our most powerful positive emotions — like curiosity, optimism, pride, and a desire to join forces with others to achieve something extraordinary. Games also, increasingly, are a particularly effective way to bond with our friends and family — strengthening our real-life and online social networks in ways that no other kind of social interaction can. That’s what I mean when I say — in the title of my new book — that Reality is Broken.” The fact that so many people of all ages, all over the world, are choosing to spend so much time in game worlds is a sign of something important, a truth that we urgently need to recognize. For example: kids who spend just 30 minutes playing a “pro-social” game like Super Mario Sunshine (in which you clean up pollution and graffiti around an island) are more likely to help friends, family and neighbors in real-life for a full week after playing the game. And just 90 seconds of playing a game like World of Warcraft – where you have a powerful avatar – can boost the confidence of colleges students so much that for up to 24 hours later, they’re more likely to be successful taking a test at school… and more outgoing in real-world social situations. This “spill-over” effect of games means that young people who identify strongly as gamers have real-world talents and strengths that will indoubtedly serve the well in the future — if they understand that these are real skills and abilities, not just virtual ones. That’s why I wanted to write Reality is Broken: to show gamers (and parents of gamers) exactly how playing games can prepare us to tackle challenges like curing cancer, ending world hunger, and stopping climate change. (Yes, it’s true! There are games to help players do all of these things). Of course, there can always be too much of a good thing. Studies by both university researchers and the U.S. Army Mental Health Assessment Team show that playing games up to 21 hours a week can produce positive impacts on your health and happiness — especially if you’re playing games face-to-face with friends and family, or playing cooperative games (rather than competitive games). That’s why I personally recommend that parents of gamers spend as much time as they can playing, too. In fact, just this week, a new study by Brigham Young University’s School of Family Life revealed that daughters who play videogames with their parents report feeling much closer to their parents — and demonstrate significantly lower levels of aggression, behavior problems, and depression. But when you hit 28 hours a week of gaming or more, the time starts to distract you from real life goals and other kinds of social interaction that are essential to leading a good life. Multiple studies have shown it’s the 21-hour mark that really makes the difference — more than 3 hours a day, and you’re not going to get those positive impacts. Instead, you’ll be at risk for negative impacts — like depression and social anxiety. So what’s the optimal level of gaming? For most people, an hour a day playing our favorite games will power up our ability to engage whole-heartedly with difficult challenges, strengthen our relationships with the people we care about most — while still letting us notice when it’s time to stop playing in virtual worlds and bring our gamer strengths back to real life.